When parents consider sending their child to private elementary or high school, a legitimate concern is the testing required. It’s important to remember that testing is only one portion of the admissions process, since transcripts and other factors are used to best determine eligibility. The purpose of exams, however, is to ensure the student is ready for the next grade and/or college preparatory classes. Scores can also be used to determine course placement and occasionally scholarship eligibility. Continue reading to discover everything you need to know about the top three private school admissions exams. The Secondary School Admissions Test (SSAT) is by far the most widely used admissions exam for private schools. The exam indicates strengths and weaknesses in all academic topics through multiple choice questions and a short essay. Similar to the SAT many of us have taken, the SSAT tests quantitative reasoning, reading comprehension and language use. While essays are a required portion of the exam, they are not graded. Instead, they are sent along with results to the applicant’s school for review by admissions staff. The SSAT is offered in three levels for 3rd – 11th graders. The test is longer than what most students are used to, approximately two hours and forty five minutes. Elementary students take a shorter exam, around an hour and a half. While rigorous preparation is not necessary, students should at least have practice testing for extended periods. Another preparation tip to remember is each correct answer is worth a point, and a wrong answer will cost you a quarter of a point. This style of scoring deters guessing, so students should be aware of when guessing or skipping questions is ideal. Testing dates are typically eight times a year, and students may test multiple times, but generally you wouldn’t want to attempt more than twice per grade level. The Independent School Entrance Exam (ISEE) is very similar to the SSAT. It’s frequently a second choice to the SSAT in the admissions process for private, non-Catholic religious schools. The similar focus here is math, reading comprehension and language use. As before, essays are not graded but forwarded to the applicant’s school. The ISEE is offered in three levels for admission to 2nd – 12th grade. The exam averages two and a half hours (roughly one hour for elementary school students) and is offered at schools and/or testing centers. As opposed to the SSAT scoring method, ISEE doesn’t penalize students for wrong answers, so guessing is appropriate and suggested. Students may take the exam once every six months, so keep that in mind when preparing. Concerning religious high schools, the High School Placement Test (HSPT) seems to be the favorite. Especially with Roman Catholic high schools, the HSPT is another standardized admissions test similar to the SSAT and ISEE. Students get excited at the lack of an essay portion, though individual schools can decide to include one. Students are also given much less time to complete individual sections; for example, the Verbal section includes 60 questions that must be answered in 16 minutes. Additionally, the HSPT includes more grammar, punctuation, vocabulary, synonyms, logic and geometric questions than other tests. Keep in mind, this test is only offered to eighth graders. The exam takes approximately two and a half hours to complete, and incorrect answers are not subtracted from point totals. Since the test is administered at the applicant’s school, contact them to inquire about testing dates. Students should take the exam only once. If attempted again, the lower of the two scores will be used. Don’t be overwhelmed, Orange County! TutorNerds is here to help. Visit our ‘Test Preparation‘ page to read more about our services in regards to the ISEE, HSPT and other important tests. Once we match you up with the perfect private tutor based on your preferences and needs, you’ll be well on your way to success. New, Used, Borrowed or Rented? The topic of college textbooks radiates through the memories of any graduate. Most people have at least four years to get it right, but many of us never do. We all knew students who seemed to find the best deals, or the others who overpaid out of sheer laziness. This article is not for those people. This article attempts to help those still struggling with the new, used, borrowed or rented debated raging on campuses nationwide. Hopefully this helps to narrow down the best choices for you and gets you a head start on next semester’s books. Before we get started, there are some basic tips to follow. First, get access to book lists as early as possible. Websites and bookstores know that college students tend to wait till the last minute, so get ahead of the game by scoring better prices and having more selection by purchasing early. However, there is a catch to this tip. There are a number of professors who list textbooks they never intend on using. To avoid this frustrating and expensive issue, use previous students as references. Find out what is an absolute necessity in the class and what you could possibly borrow or share with a friend. Before you start your search, you’ll want to have the following information organized to make searching as simple as possible. A word document or scratch piece of paper will work just fine. Having this information at your fingertips will better guarantee a correct purchase. Having to return a book and rush to find a replacement is not a good way to start a class. Finally, and this goes along with accessing required readings early, allow plenty of time for shipping. Some professors allow a few weeks into the course for books to be purchased, others want multiple chapters read before the first night. Play it safe and order early to be fully prepared. It would be wonderful if all students could afford new books every class. Imagine cracking open a giant science manual fresh off the printer, or sifting through the pages of a brand new novel with no highlighting or scribbles. If this is possible, and it doesn’t cause you to have to auction a limb, by all means go for it. New books are a luxury and should be appreciated. However, most of us will need to acquire used books just to make it through to graduation. • An obvious but important note is used books may not be in the condition you desire. If you’re someone who gets distracted by old scribbles and highlighting, spend more time determining condition. If you can read past it, by all means go for the cheapest option. As always, choose sellers with good feedback and who have been around for some time. • Still a fairly new option for students is electronic versions of textbooks. For your humanities courses, check out Bartleby and Project Gutenberg for free downloads of classic literature. • The big players are easy to find, a quick search on your favorite search engine will give you plenty of results. A few you may want to start with are Chegg, Amazon, and BigWords. Chegg makes the list because of their fabulous return policy. If you drop a class or end up not needing a text, send the book back within 21 days and you’ll get a refund. This is rare in the textbook marketplace, where everyone is usually trying to make a quick buck. Amazon is another good option to access a large retailer and individual sellers. Searching by ISBN is a breeze, and there are usually lots of options in condition of books from new to very used. Lastly, BigWords is a good choice for those wanting to compare shop between large websites. Spending hours online searching for the best deal can be a waste of valuable time, so stick with sites like BigWords that do the work for you. They also show the retail and shipping costs separately, along with coupons and promotions, so you can really maximize your deals. Borrowing textbooks always ranks cheapest in options, but usually involves more headaches. Sources of borrowing include university and local libraries and other students. While it may be difficult to accomplish this for all your classes, it might be a good option for a class or two. term loans if they have them. Getting here first is imperative; if copies exist there tend to be few. Some professors provide the library with texts on a reserve basis. With this option, you’ll be allowed to borrow the text (within the library) for a certain number of hours at a time. This clearly gets difficult around testing time since everyone wants an opportunity to study, but if you plan it right it can go smoothly. • If you are considering sharing a book with another student, make sure you both agree upon a schedule. If it’s clear who has the book what days, no one should ever be angry and readings will be completed on time. • Some students may not realize that with this option, note taking will be very important. Since the text will not always be available and you can’t write in it, you’ll need to be good at taking notes. Renting has only become popular in the last few years. This option removes the struggle of selling a book after a class is over, but you are losing the profit in the process. The searching is still straightforward, with many popular sites now offering book rentals. This may be a good option for students who know they don’t want to keep textbooks after a class, or who know resale amounts may be too minimal to be worth the effort. Whether you decide to go new or used, borrowed or rented, don’t put too much time into the process. In the end, just having the textbook is most important; but if you can save a few bucks along the way, go for it! While you’re reading this article, I’d bet within your reach is a planner. Whether it’s digital or paper, most of us use planners because knowing what’s going to happen is important. Children of all ages also find comfort in knowing what lies ahead. It makes everything from getting up in the morning to starting homework in the afternoon easier and more enjoyable for everyone. Find out how you can create consistency in your child’s life; they’ll thank you for it later. Even if children are not in school yet, they will still benefit from consistency. You don’t have to make things complicated or detailed, just make routine an everyday thing. For example, start with bed time. Acting out the same steps at the same time every night will make transitioning to bed much easier. Always show praise for completing routines, this will build confidence and encourage good behavior. As children become old enough to start school, a morning routine is another option explore. For the elementary and middle school aged, utilize schedules to first organize after school hours. This time can include studying, chores, free time, sports, or activities. Participation is important, so include older children in the creation of the schedule. Once the agenda is created, stay consistent; maintaining it is easier than starting over. Homework time should happen relatively soon after returning home. As the afternoon progresses, younger children tend to tire and become frustrated sooner. Set them up for success and get the tough stuff out of the way early. Does your student hate spelling or struggle with fractions? Have them start with those difficult subjects first. The information will be most fresh in their minds from the day and getting it out of the way will leave them with a sense of accomplishment. When it comes to homework time, it’s helpful to keep an eye on younger ones. Create a space you can observe them in, and is also relatively distraction free and quiet. If you prefer a general “study time,” ensure it is goal oriented. Younger children have a hard time focusing their minds on what’s important if there is no direction. With maturity comes responsibility, so as they move into middle school, children can spend more time studying unassisted. Should students study on the weekend? It shouldn’t be the sixth school day of the week, but thirty minutes to an hour of review over the weekend is perfect in preparation for the upcoming week. The longer we go not using information we learned, the more difficult it is to recall. All these tips work to create good habits for high school when self-discipline will be more important. High school students should be able to study unassisted, but reminders and check-ins are a way to stay supportive. Adolescents may begin to feel bored with routine, but continued practice is important for college. To change things up, encourage them to try different study locations, at home or at the local community center or library. Discuss procrastination, specifically how to identify distractions, and what to do to remove or lessen those interruptions. Typically, removing a cell phone and sitting away from televisions or computers is helpful. If computers are necessary, use tasking filters like LeechBlock and StayFocusd to keep focused on the assignment at hand. We all struggle with distraction, procrastination, and inconsistency, but that doesn’t mean we can’t improve. Utilizing a private tutor is a great way to build and sustain positive working habits. TutorNerds knows your frustrations – we’ve been through it too – and would be more than happy to share with you the strategies we’ve found successful over our years of educating. Consistency is key, Los Angeles! You just finished your sophomore year in college. This is a critical time to land an internship, and you’ve passed out your resume like a politician passes out flyers. Sadly, you’re not getting any responses. But hope is not lost! How would you feel if I told you there was something that, arguably, is better for your resume than an internship? It’s studying abroad, and most colleges offer a wide array of programs. Studying abroad will do more than just give you better stories than your friends, it may just get you your dream job. Here’s a short script of a fictional group interview. Tell me which candidate got the job. I don’t think I need to tell you who wins. It’s not a lack of programs causing the imbalance. In fact, most public and private universities offer some form of study abroad – here’s a list of the 25 best colleges for study abroad. I’m proud to have gone to Michigan State, where the number of students who travel abroad is second only to NYU. I took full advantage of my school’s strong programs. My sophomore year I studied in Japan, then Europe the following Summer. I always felt that those two trips put me at a unique advantage. Not only did I become a more experienced traveler, but I learned how to efficiently work in a group in often hectic and unfamiliar situations. Studying abroad isn’t cheap, which is why many students don’t even bother looking into them. But I urge every college student to at least consider. More often than not, scholarships, loans, and sponsorships exist for students willing to put in the effort to earn them. See it as an investment. You may have to take out extra loans now, but it will help you land that dream job when you graduate. A marketing professor I admire once told me about a survey he administered. He asked a number of prestigious companies to list what they look for in a potential employee from most important to least important. Let me guess, you probably expect GPA to be at the top. Not the case. In fact, many companies put GPA near the middle. More surprisingly, study abroad ranked near the top on almost every company’s list. Why would a company prefer a student with a 3.5 GPA over one with a 3.9? Because the 3.5 student studied abroad and learned team-working skills that cannot be taught in class. Sure, you can always travel abroad when you’re older. Perhaps your job will even require it. But it won’t be the same as traveling while you’re young. Trust me, it’s a lot of fun. Do you want the “big city” feel? Are you interested in sports and tons of school spirit? Does diversity matter? How important are graduation rates and job placement data? When it comes to choosing a college, you can spend months or even years debating. Is it the most important decision you’ll ever make? Not necessarily, but your choice can help to ensure you have a great time and graduate with a degree you’re proud of. There are various methods of making a decision; placing education, job prospects or your personal experience at the forefront is ultimately up to you. Today I’ll share one of those approaches. Placing experience first is not for everyone. By experience I mean what makes four, or more, years at a university memorable: school spirit, location, diversity, housing, class size and cost are among a few. This focus is for students who don’t know what they’ll major in, or what jobs they’ll be applying for in the future. It’s okay not to have a perfectly crafted plan yet; not everyone does and most who do will change. With this approach, you should begin crafting a wish list of your perfect college experience. Unsure of what a perfect college experience is like? Ask around; interview parents, older friends, cousins and teachers to find out what was most enjoyable about their college days. Was it the selection of Greek organizations? Did the food on campus make even late night studying easier? Or did the football team’s winning season make every weekend one to remember? Once you determine what’s important to you, rank them. You now have your college wish list! streamline your search by using the right tools. Websites like College Board or the College Navigator at the National Center for Education Statistics (NCES) give you search options for the types of things you’re looking for. Always stay open to colleges you may have not heard of or never thought you’d like. Schools are as varied and unique as the students who attend them, so give them all a good look. Before you make your choice, take a look at your wish list again. Remember that college is a time for students to explore the world, take chances and discover new interests. If you believe your wish list is too safe, switch it up a bit. Maybe look for universities farther from home, consider ones with more diversity, or think about what a larger or smaller university may offer. One thing is for sure, anyone will tell you this opportunity only comes once in a lifetime. Ensure you make choices that will make you happy; not friends, family or teachers. In the end, you’ll be the one lugging books to class, choosing your courses, and ultimately graduating. Make the best of the time you have! Have a great weekend, Los Angeles! You’re sitting at your desk, staring at the blank page that should be an essay. Out of all the times to have writer’s block, your mind picks the weekend before a crucial due date. You look around, trying to find inspiration in just about anything. The dirty clothes, magazines, and movie tickets scattered on your floor fail to get the brain going. Suddenly, a monarch butterfly graces your window pane. Mesmerized by its other-worldliness, you start writing. Unless you’re Nabokov, a butterfly might not be enough to type the next great novel, but you get my point. Nature has always been a source for inspiration, wonderment, and wisdom – this applies to anyone, not just a nature lover. Sadly, we’re losing more and more of it everyday, but hope is not lost. Many communities, schools, and cities have taken initiative into their own hands; developing greener educational environments. For example, Moton Elementary school in Tampa Bay, Florida has created a gardening program that spans a student’s entire grade-school career. The program is a learning experience, with hopes to “gain awareness that food and flowers come from the ground. Some of our greatest minds have been naturalist, botanists, and nature lovers. Where would we be as a nation without our National Parks? You have green thinkers such as John Muir to thank for that. Further, learning about nature through the passionate eyes of such men and women is inspiring for any student. Did you know Mr. Muir wept with happiness the first time he discovered the elusive Calypso borealis? Whether you’re struggling to find some writing inspiration, or just need a good wave of intellectual curiosity, here are five naturalist books everyone should read. One last thing, make sure you read these under a tree, or by a babbling brook, well, just anywhere away from your Facebook. Enjoy. In the rare situation of a light schedule, I enrolled in a three credit Nature and Religion course my senior year at Michigan State University. Though we only had a brief two days learning about John Muir, I was struck by his commitment. Recently, while searching the towering walls of books at Bargain Books in Van Nuys, I came across this charming collection of letters between the famed naturalist and his lifelong friend Jeanne C. Carr. It’s an excellent documentation of Muir’s growth as a botanist, as well as an incredible friendship. The first time I read about Gary Snyder was in Jack Kerouac’s The Dharma Bums. As the inspiration behind the Japhy Ryder, Snyder’s ecological wisdom finds its roots in indigenous spirituality, animism, and Buddhism. He seems almost mad with natural contentment – Japhy notoriously treks the wilderness in the buff. 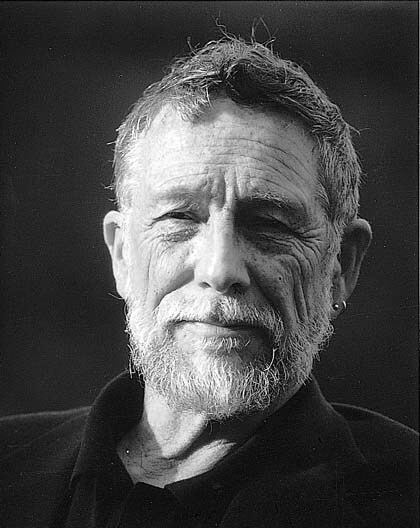 More than just a poet, Gary Snyder was a dynamic educator. In this collection of poetry and straight talk, you’ll find an incredible amount of knowledge behind his imagery. Odds are you’re familiar with Ralph Waldo Emerson’s famous essay Self-Reliance, but it’s a shame to just stop there. A pioneer of transcendentalism, Emerson preached, through poetry and prose, that any and all individuals must find their own unique relation to the universe. Whether it be in solitude, under an old oak tree with nothing but songbirds to keep you company, or in front of a classroom, mankind is lost without nature. This Tarcher Cornerstone Edition includes such provoking essays as Circles, Fate, and much more. The release of this book was paramount in starting the modern environmentalism movement. To put it simply, the natural world is as fragile as it is complex. Though our innovations are meant to make life easier, they sometimes cause dangerous side-effects. You may recall old footage from the 1950s of municipal vehicles driving down suburban streets, leaving a wake of chemical clouds in its path. What was so striking about this image was the children laughing and chasing the cars, encompassed by the mysterious cloud. The vehicles were spreading DDT, and its results were staggering . As the strongest pesticide the world had ever seen, DDT was successful in killing mosquitoes, and, at the time, believed to be safe. Nowadays, the idea of inhaling DDT is terrifying. It’s a known carcinogen, and lethal to species other than mosquitoes. Thanks to the curious eye of some University students and professors, the mysterious death of thousands of birds caused an investigation that would lead to the poisonous culprit. Rachel Carson’s, at the time controversial, book, Silent Spring, allowed the world to become wise to the effects our actions have on the planet, and that we must be mindful of our relationship to it. The finest environmentalist writer since Emerson and Thoreau, Aldo Leopold captures the wisdom of our enormous planet in the frame of Wisconsin’s countryside. The author/ nature lover Demands an ethical relationship to nature, as well as an effortless wonderment of its beauty. Feeling inspired? Now that your essay is finished, how about a drive to Topanga park for a hike? Remember, inspiration can come from anywhere, but it’s up to you to discover it, Los Angeles!